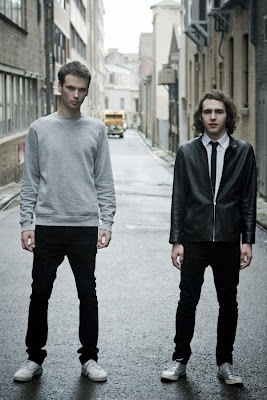 Ted & Francis are an electronic duo from New South Wales, Australia. They have been on my Radar for quite some time doing some amazing remix work. The remix they did for Empire of the Sun's 'We Are The People' that I posted awhile ago I liked better than the original. Seems they caught the attention of Kitsune Music as well, as they got signed and will be releasing their Debut EP on April the 20th. 420! Good one! Anyways I'll be keeping an eye on them. In the meantime here is the first original track I've heard from them called 'All Ways' and a couple excellent new remixes. I should get my daily dose of OTR together w/ my breakfast! so as i'm working (swamped w/ reports, reports + more reports) i'm listening to new music in the background and hear this beat that gets me going together with heavy synths. i go to my music tab, see that it's Appaloosa. I then go to hypem and type Appaloosa and i off the radar is on top of the list! THESE 3 SONGS A SICK! thx!